Travis Bowman Group : Sutton Group West Coast Realty : March property sales climb in the Fraser Valley Keeping you updated about what's happening in Real Estate and in the Fraser Valley! SURREY, BC – In March, sales on the Fraser Valley Real Estate Board’s Multiple Listing Service® (MLS®) reached the highest they’ve been in nine years. The Board processed 1,857 sales, a 47 per cent increase compared to the 1,259 sales in March of last year. Sales during March of 2006 were 2,072. In March, the Board processed 11 per cent more new listings compared to March 2014, however higher sales eroded the number of active listings. March finished with 8,193 active listings of all property types, 7 per cent fewer than available during the same month last year. Maisey adds, “It’s important to emphasize that supply and demand vary depending on property type and location. 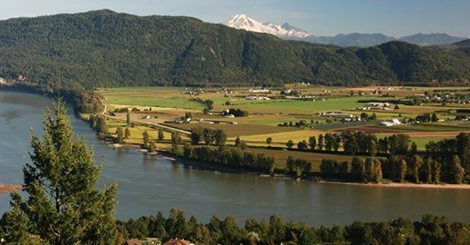 Currently, demand for single family detached homes is outpacing supply in most Fraser Valley communities resulting in lower inventory levels, upward pressure on prices and homes selling faster than they did last year. The MLS® HPI benchmark price of a Fraser Valley single family detached home in March was $588,500, an increase of 4.5 per cent compared to March 2014 when it was $563,400. In March, the benchmark price of townhouses was $299,700, an increase of 0.9 per cent compared to $297,100 in March 2014. The benchmark price of apartments decreased year-over-year by 2.4 per cent, going from $195,400 in March 2014 to $190,800 in March 2015. In March, the average number of days to sell a single family detached home in the Fraser Valley was 38 days, down from 44 days in 2014. Townhomes took 48 days on average to sell, while apartments took 61 days, both comparable with March of last year.